It is the most heartbreaking thing when you hear that the killer boats are returning to port and then they spot an unfortunate pod who are too close to the Cove and they pursue and drive them. Sheer bad luck. Wrong place wrong time writ large. Now two of the juveniles are held to be trained for human entertainment for the rest of their shattered lives and their family will end up on someone’s dinner plate. But never forget, it is the live captures that makes the money and ensures the continuing viability of the drive. This morning in Taiji, as the killing boats were returning to the harbor empty-handed, a pod of Risso dolphins was spotted just offshore. The boats changed directions and headed back out to sea. Our hearts sank as we could see the drive formation a few miles out to sea. 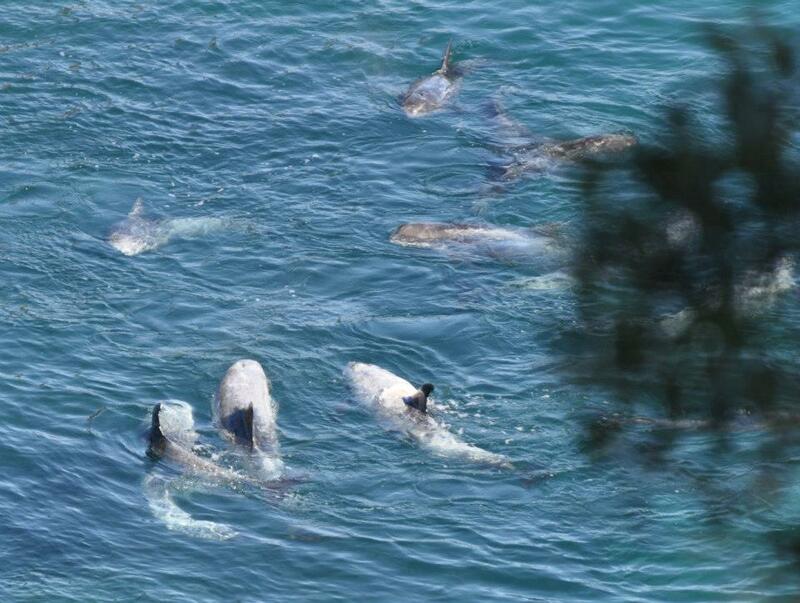 21-22 Risso dolphins were driven into the killing cove. 2 juveniles were ripped from their family by Dolphin Resort trainers and placed in above ground concrete tanks. 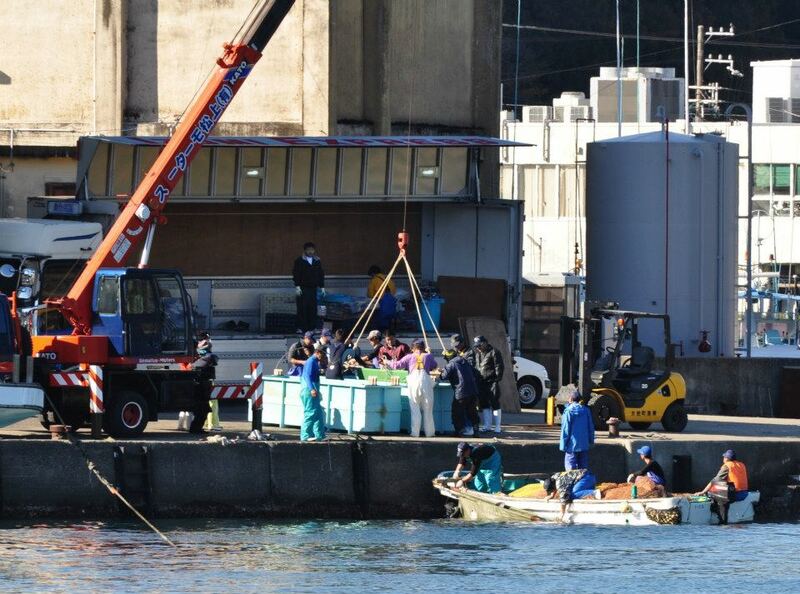 The remaining 19-20 dolphins unfit for captivity were brutally slaughtered leaving the cove blood filled. Shortly after the slaughter today, two Bottlenose dolphins were transferred into cargo crates and transported by truck north of Taiji. This is where the money comes from. If you buy a ticket for a dolphin show, you are propping up this vile practice. The supply will continue to meet the demand as in all economic spheres. This entry was posted in Dolphin, Taiji Terror Tales and tagged animal welfare, dolphin, japan, Mother Nature, Seaworld, Taiji Cove and Related Information, whales. Bookmark the permalink.